As Tideway week reaches its climax, rowers, coxes, coaches and umpires faced the media for the final time ahead of this year’s Boat Race. The press conferences provided the world’s media with the opportunity to quiz members of the respective Boat Clubs ahead of Sunday’s race. Oxford Women’s cox and President Eleanor Shearer alongside Head Coach Andy Nelder spoke favorably about this weekend’s weather conditions. 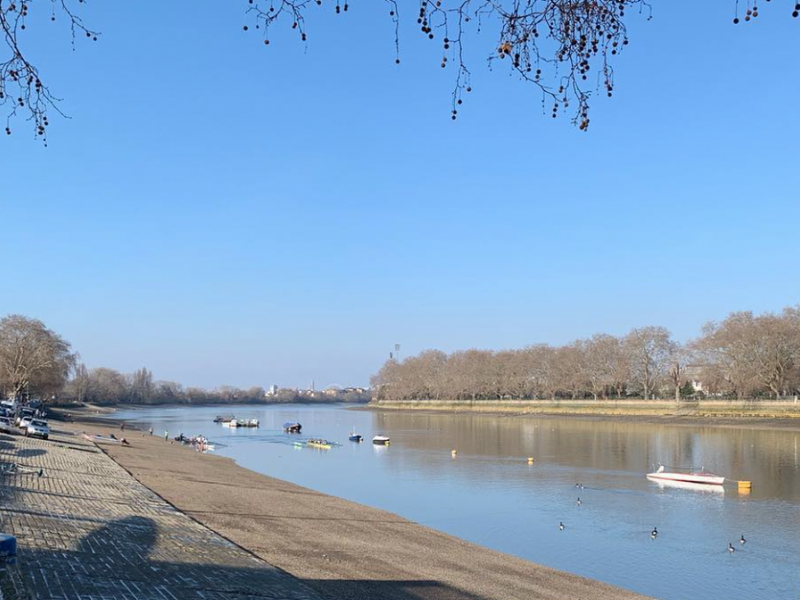 The Tideway course is famed for its unpredictability and challenging conditions, but this Sunday should provide relatively flat conditions for the crews. This year’s Cambridge Women’s President Abigail Parker has not been selected for the Blue Boat. As a result, Captain Larkin Sayre joined Head Coach Rob Weber and Cox Hugh Spaughton for media duties where Weber explained how the Cambridge crew are not being complacent or taking anything for granted. Throughout the week, Cambridge have been striving to make improvements and build on what they learnt during their winter racing: “There is nothing we can do about the opposition. We’ve gone up against some really top crews in Head races and we lost a couple of our fixtures,” said Sayre. Since moving into their Boat Race house, the whole crew have cooked together and have been enjoying watching films which has helped to keep them all relaxed ahead of race day. experience as well.” With regards to competing against James Cracknell, Drinkall made it clear Oxford are here to beat Cambridge regardless as to who is in their crew. Both Umpires were also interviewed. Richard Phelps will be umpiring the Women’s race and Rob Clegg the Men’s race. Both umpires explained how important it is getting to know the crews and particularly the coxes at various fixtures and at Trial Eights. Traditionally, coxes are more likely to be aggressive in Trial Eights as there is far more on the line in this Sunday’s race. That being said, neither cox will be giving anything away to their opposition at the weekend. The Boat Race 2019 will take place on Sunday 7th April 2019, at 2.13pm for the women’s race, and 3.10pm for the men’s race. All the action will be broadcast live on the BBC One from 1.25pm.